The trailer for a La Llorna-inspired horror movie has been released. It promises to be your childhood nightmares come to life. 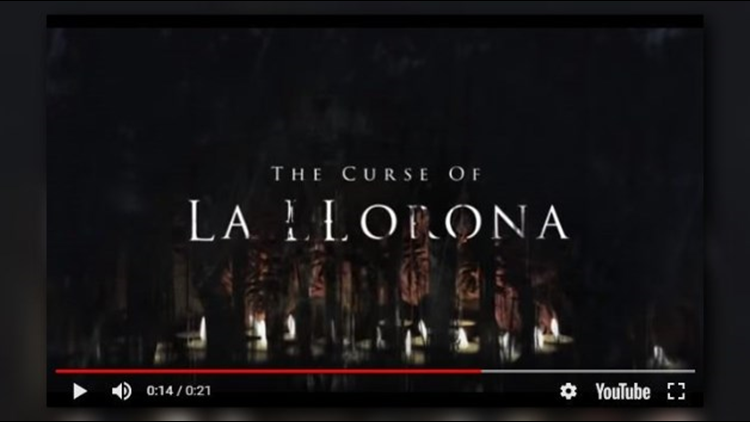 A film called "The Curse of La Llorona" is due to be released Thursday, April 18. A trailer for the film debuted on Twitter last year. New Line Cinema announced the plans ahead of its 2018 "ScareDiego" presentation, Variety reported. The movie was reportedly originally titled "The Children." Variety cites that it will be set in 1970s Los Angeles and center on a social worker raising two kids. That's when things get spooky. The character in the upcoming film will reportedly find similarities between a case she’s investigating and "supernatural occurrences haunting her own family." Mexican folklore holds that La Llorona is the weeping ghost of a woman who has lost her children and searches for them in a river. The ghost is also said to cause misfortune for those who encounter her. "Beware of her chilling wail. She will stop at nothing to lure you into the gloom. There is no peace for her anguish. There is no mercy for her soul. And there is no escape from the curse of La Llorona." Producers behind the "IT," "Annabelle" and "The Conjuring" franchises are also making this film.